Come join me an Subhaze for a twilight set from 8pm to 9:30pm with Caravan Gitane Carnivale afterwards which is to be an amazing show! 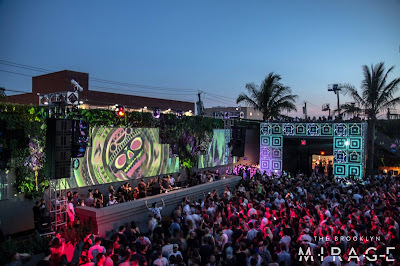 If you haven't seen the Brooklyn Mirage, you must go immediately. It is a must see with some of the best shows this summer. On May 17, 2018 I will be opening for Sandbox Percussion, Ricardo Romaneiro, and Fiction at the amazing Le Poisson Rouge, (formerly Life, formerly The Village Gate). Join the AIHS for a superb mixer featuring art, music, food and drink! 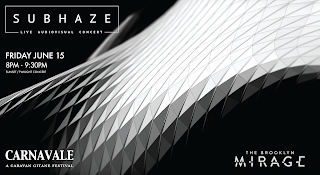 Come see us open for Wolfgang Voigt's GAS at Elsewhere!